Bali Package Tour » Bali Land Tour » 3 Days / 2 Nights » Bali Tour (3 Days / 2 Nights ) LH: 01 . 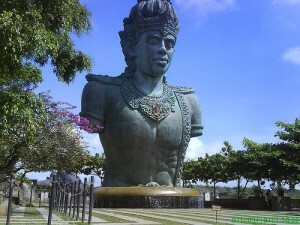 Upon arrival at Ngurah Rai International airport of Denpasar, after meeting services direct on city tour to visit : Uluwatu Temple, another mostimportant temple of Bali, nestled right on the edge of South Bali’s cliff coast. The view form the outer walls of this temple goes straight down approximate 70 meter down to the shore. Tama monkeys are inhabiting the temple, Then Garuda Wisnu Kencana Mounument (GWK), Before back to Hotel you will have a dinner at Beranda Resto (GWK), after dinner back to hotel check-in and overnight (Dinner). After Breakfast is full free program until time transfer to airport for your flight to next destination.